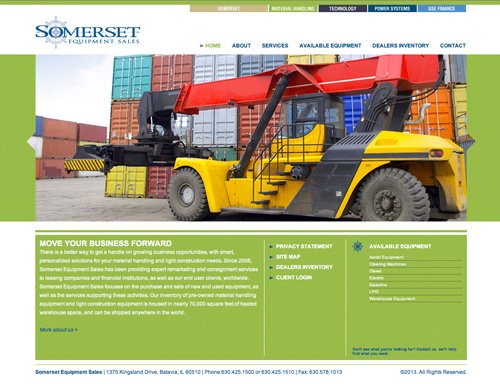 LSHD | Website Home | Somerset Capital Group, LTD. 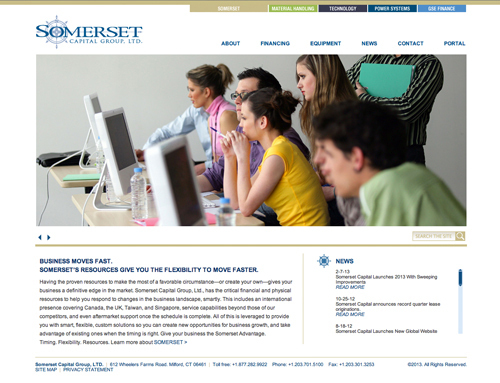 Client: Somerset Capital Group, LTD. This regional leader in customized, asset-based financing had decided it was time for something new. Its website, along with that of one of it subsidiaries, was dated and required strategic messaging and design that was more engaging and representative of its experience, professionalism, and solution capacity. 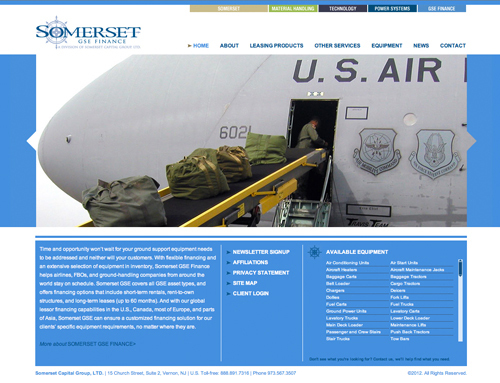 LSHD leveraged Somerset’s resource capacity—having both working capital and actual equipment available to companies no matter where they are in the world—as the key point of differentiation. We positioned the company as a strategic business partner that helps its customers to capitalize on opportunities as they arise, keeping them ahead of an ever-changing business landscape.